Tanishk Bagchi is an Indian film composer who won the IIFA for his songs Badri Ki Dulhania and Tamma Tamma. He made his debut in Bollywood with the song “Banno” composed by him and Vayu Srivastava from the film Tanu Weds Manu Returns in 2015. Before composing for films, he produced and arranged music for TV shows. Since then, he has composed several hit songs including the Badri Ki Dulhaniya title track. 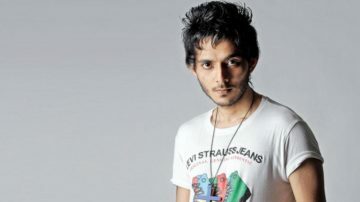 He recently won the Zee Cine Award for Song of the Year for his song Baarish. YouTube’s most trending music composer of 2017 for 6 songs. “Tu Cheez Badi” (Remake), “Badri Ki Dulhaniya”, ” The Humma Song” (Remake), “Baarish”, “Mere Rashke Qamar” (Remake) and “Tamma Tamma Again” (Remake).